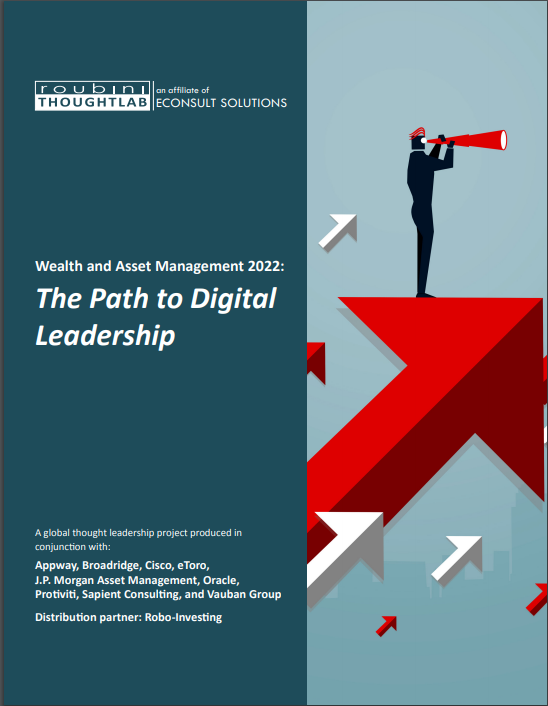 Wealth and Asset Management 2022 | Econsult Solutions, Inc.
Like many industries, wealth and asset management is going through a radical transformation that will reshape the industry in the years ahead. Chief among the forces of change is the inexorable shift to a digital marketplace, which will almost certainly thrust some firms into new prominence and leave others behind. As the industry faces irreversible change, investment providers need to act now to ensure their digital futures. Firms that are out in front are already seeing leaps in AUM, profitability, productivity, and market share. Those that are behind are not only paying a financial penalty in lost revenue and cost savings but run the risk of falling out of the race altogether. To help investment providers reinvent their businesses for the digital age, ThoughtLab, in conjunction with a coalition of leading firms, conducted one of the most comprehensive studies on the digital transformation of the investment industry.